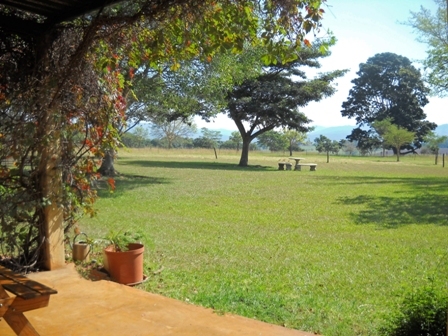 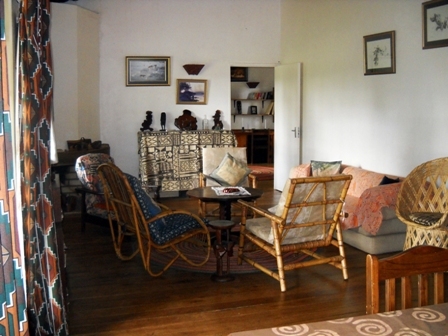 There are two cottages, both of which are fully equipped. 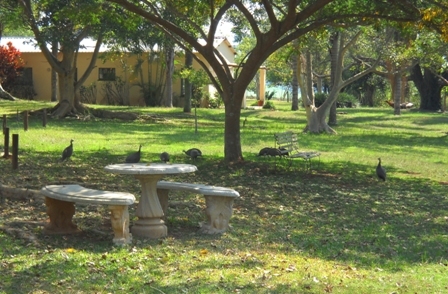 They are a home from home and perfect for self-catering. 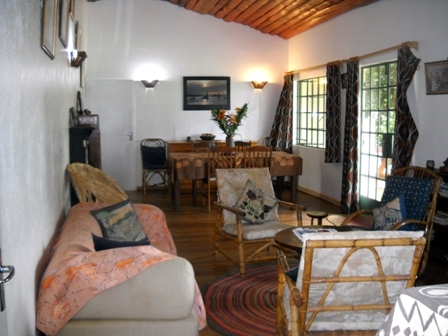 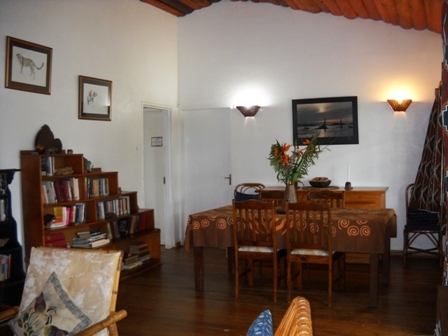 Both cottages are spacious, pretty and very comfortable. 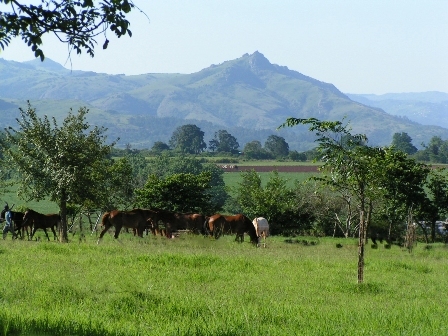 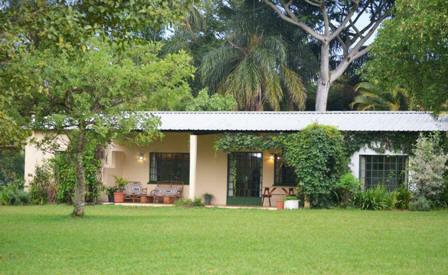 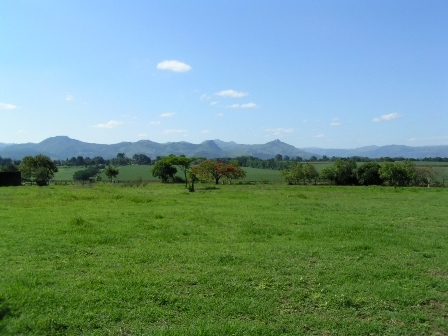 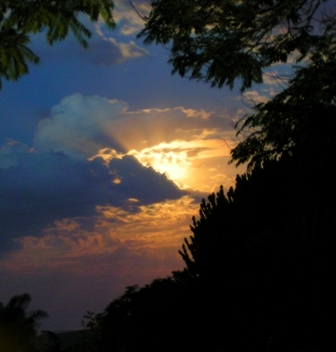 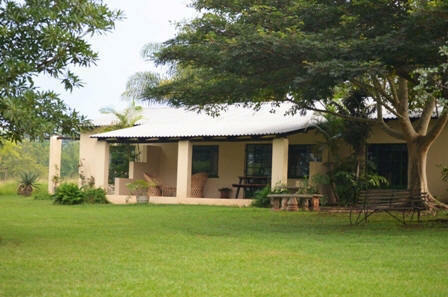 Each has their own large secluded garden with lots of indigenous trees, fruit trees, flowers and plentiful birdlife. 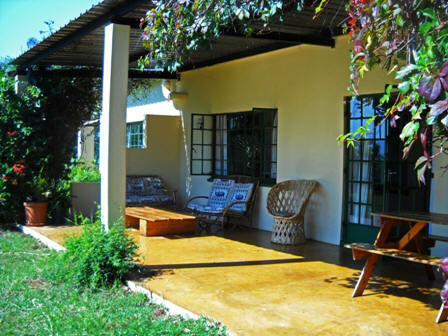 Each cottage also has a dining room and lounge, a fitted kitchen, and a large veranda with a wonderful view and braai (barbeque) facilities. 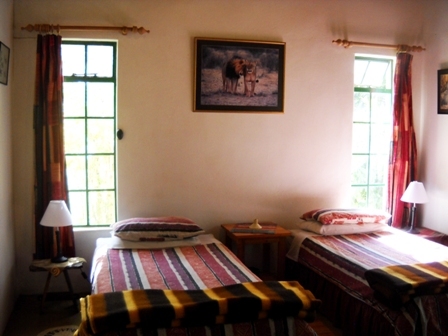 The cottages have two bedrooms each. 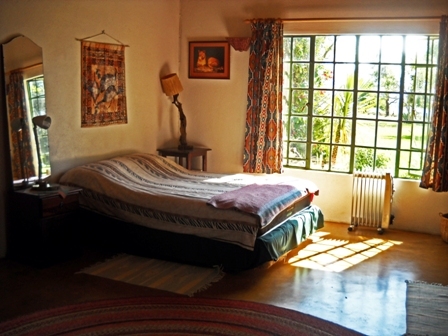 The main bedroom has a double bed and a single bed and the other one bedroom has two singles. 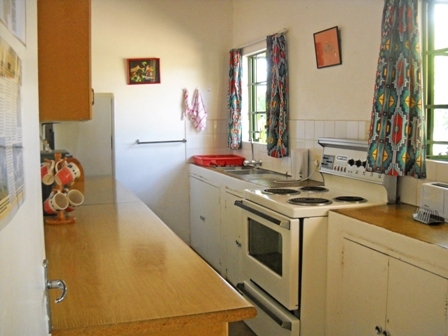 Both have en-suite bathrooms. 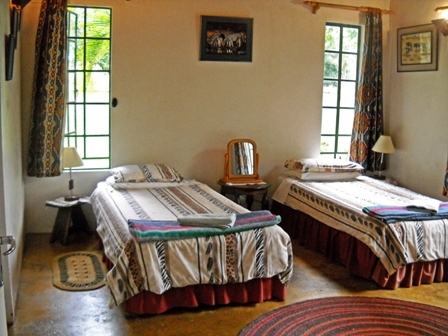 One of the cottages also has a sleeper couch in the lounge that can make a double or two single beds. 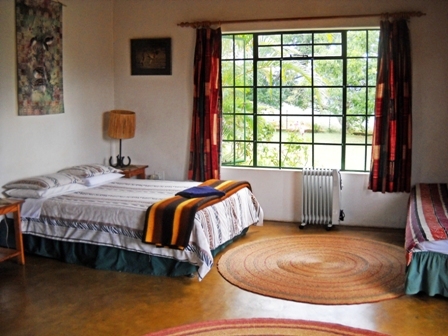 For large groups or families we can easily add extra beds to the bedrooms as all the rooms are large and airy. 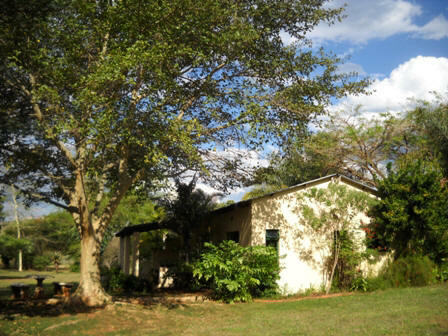 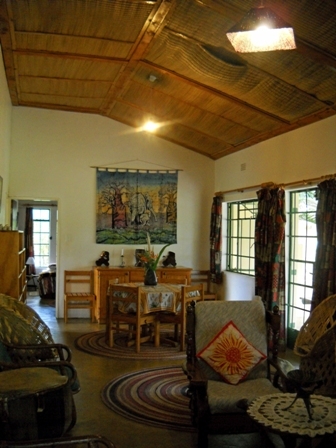 The cottages are serviced every morning by our helpful and friendly Swazi staff. 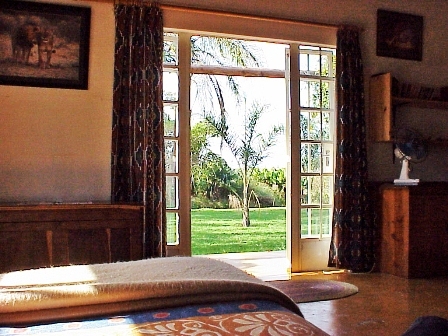 Our rates vary according to the number of occupants and there are special rates for groups; please contact us for more details.